Coastal style interior views you a sea shore which gives a cool and calming atmosphere. The room looks natural with the breezy environment. The interior is decorated with earthy saturated colors which makes you to feel pleasant and the furniture is mostly of white washed. The breezy winds from the shores flow through the windows and refreshes your mind. The room looks fantastic with the decorative items and design. Generally the bedroom is decorated with bed, chairs for seating, chandeliers, fire places and windows covered with curtains. The light fixtures used in the interior should not be massive and must add sky lights. In the view of the image you can see a modern coastal chic master bedroom. 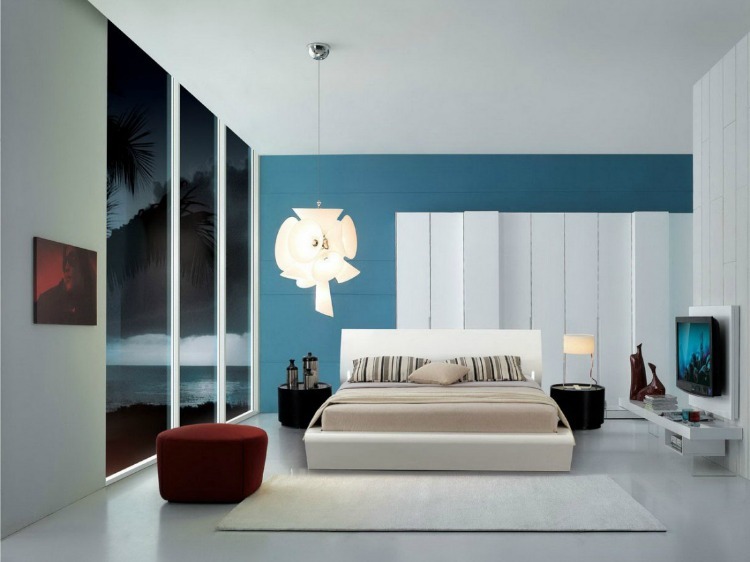 The interior is decorated with snowy white in contrast with azure blue textures and the walls of the room has wall cladding. There is a bed with curved head board and has quilt and cushions and the false ceiling is a dry wall ceiling with a hanging chandelier. The flooring is made of plain vinyl flooring and has an white smooth carpet on it. There is a scarlet pouf for seating and the wall cladding has panelling on which a television is mounted. There is a closet on which books and decorative items are placed and has photo frames on the walls. The image views a coastal style bedroom which is simple. The flooring is made of laminated hardwood and the false ceiling is dry wall ceiling with plain light fixtures. There is a mid century modern brown couch in contrast with beige cushions arranged for seating and has a floor lamp. The walls of the interior is decorated with an acrylic painting and ikea gallery art.The room has casement windows for exterior view and has night stand with lamp on it. The floor has a plush carpet and a stool. The false ceiling is a dry wall ceiling with plain light fixtures and has ceiling fan attached to the roof. The interior of the walls are decorated with ivory white and photo frames are mounted on it. There are night stands with chest of drawers for storing embellishments and lamps, flower pots are placed on it. The flooring is made of dark wood with a textured throw rug and has windows covered with white blinds. There is a bed with wooden headboard which has cushions and coverlet on it. In the view of the image you can see a coastal master bedroom and the false ceiling is a dry wall ceiling with plain light fixtures. The flooring is made of plain vinyl flooring and has chaise in the room for getting relaxed. There are chest of drawers for placing adornments and has lamps on it and the walls are decorated with wooden cladding. There is a television mounted on the cladding and a metal framed mirror is attached to the wall cladding. There are timber wardrobes for the clothes to hold in and has casement windows for external view. This image is a simple coastal style master bedroom and the false ceiling is dry wall ceiling. The flooring is made of white ceramic tiles and has a ivory white saxony carpet on it. The room has night stand with photo frames and lamps on it. There is a dressing table with chest of drawers to store accessories and has decorated with a vase of birch branches. There is a bed with curved leather head board with quilt and soft pillows on it. The interior has white framed glass windows covered with sheer draperies. In the view of the image you can see dry wall ceiling with plain light fixtures and has a chandelier attached to the roof. The interior is decorated with double hung windows and has two finger pleated curtains. The walls are plastered with light blue and ivory white. The room has fire places which has dark wood panelling and has a television mounted inside the wall for entertainment. The room has closets decorated with organic ceramic made display items. The flooring is made of white ceramic tiles and has covered with the dark beige throw rug. There are couches for seating and has a table with a flower pot on it. 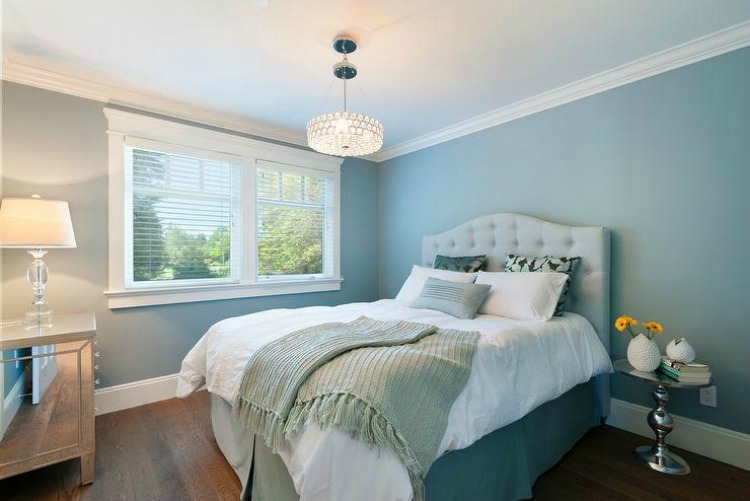 The interior of the bedroom appearance shows you a coastal style master bedroom. The false ceiling is made of white ply wood with plain light fixtures and has a hanging pendant light attached to the roof. The flooring is made of warped wood on which a throw rug is placed. The interior has double casement windows from which you can view exterior. There is a four poled bed with colored cushions and has coverlets. The room has night stand with glass dropped lamp and has chesterfield for storing adornments. In the view of the image you can see an amazing coastal style bedroom. The flooring is made of walnut wood and has a carpet laid on it. The room has a chaise for getting relaxed and can even have a nap on it. There are casement windows which are stationary and can view the sea shore and the external fairness. The false ceiling is a suspended ceiling with ply wood and has a pendant light attached to the outdoor. The windows are covered with sheer curtains and has chiffonier for storing accessories. The walls have photo frames mounted on it and has island bed with cushions. The false ceiling is dry wall ceiling with a crystal chandelier attached to it and the flooring is made of dark wood with clean finishing. The room has a table with a stand and has flower pots and reading books on it. The bed is a upholstered tufted bed with a coverlet and cushions placed on it. There are white framed windows with white blinds and has a night stand with a glass drop lamp. The interior are decorated with sky blue wall paper in contrast with snowy white color. The interior has false ceiling which is a drop out ceiling and has a antique candle chandelier. There is a bed with upholstered headboard with various cushions and a coverlet. There is a leather bench and has a davenport for relaxing or for reading book and has orbed glass tables on which ornamental plants are placed. The flooring is decorated with dark wood and has light grey throw rug. The room has night stand with and dresser for placing embellishments with lamps on it. The walls of the interior has photo frames and are covered with sheer curtains.